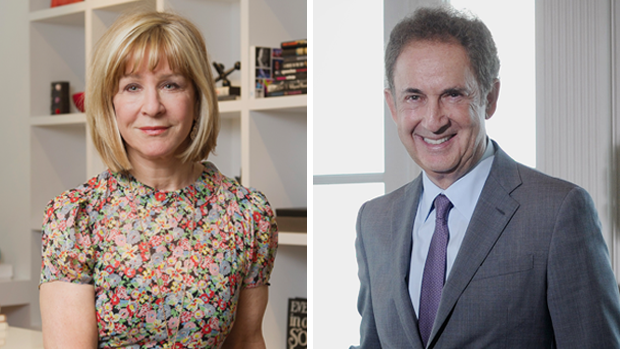 Canadian billionaires and philanthropists Gerry Schwartz and Heather Reisman are donating $100 million to the University of Toronto – the largest gift in the school’s history – toward research in innovation and artificial intelligence. The donation from Schwartz, CEO of Toronto-based private equity firm Onex Corp., and his wife Reisman, CEO of Indigo Books and Music Inc., will help create the Schwartz Reisman Innovation Centre, a 750,000-square-foot complex that will be home to AI scientists, biomedical experts, entrepreneurs and startups, U of T said in a release on Monday. In addition, the money will support the launch of the Schwartz Reisman Institute for Technology and Society, which will examine the ethical and societal implications of AI and other emerging technologies. U of T President Meric Gertler says the investment will “spark Canadian innovation, boost our economy, and enable a deeper examination of how technology shapes our daily lives” at the school. “It’s a gift that reflects Gerry and Heather’s entrepreneurial spirit and their deep concern for Canadians and global society,” Gertler said in a release. The university plans to begin construction of the innovation centre – located near Toronto’s Queen’s Park – this fall. The first phase will be a 250,000-square-foot 12-storey tower that will be home to the Vector Institute for Artificial Intelligence, among other stakeholders. The second phase will be a 500,000-square-foot 20-storey tower, the school said. The $100-million gift, made through the Gerald Schwartz and Heather Reisman Foundation, is the largest donation ever for the Canadian innovation sector, U of T said. “We’re immensely proud and excited to be part of an initiative that will further spark innovation, anchor talent and ideas in Canada, and illuminate the importance of socially responsible technology,” said Schwartz and Reisman in the release.